When the President and educators across the country emphasize the importance of community colleges, the message is usually that the two-year institutions are mainly important as a means of providing the advanced technical and vocational instruction that is so important in today’s economy. Less is said about the critical role these institutions play in preparing students for high academic achievement at some of the best public and private universities. Michigan. Cornell. Georgia Tech. NYU. Wisconsin. Mt.Holyoke, Smith, UCLA, Northwestern, UNC Chapel Hill. Columbia and Yale. These and many other institutions are among those who have accepted the outstanding honors students of the Hillsborough Community College Honors Institute, which offers honors courses at five campuses in the Tampa area. Under the longtime directorship of Dr. Lydia Lyons, a past president of the National Collegiate Honors Council (NCHC), the HCC Honors Institute has been the springboard to excellence for thousands of outstanding students who have gone on to obtain bachelor’s and graduate degrees, not only from most universities in Florida, but also from the schools listed above and many, many more. There is a sound argument to be made that community college honors programs may even be the best way to graduate from a premier four-year honors program or a prestigious private college. One big reason, according to Dr. Lyons, is that most community college students pay relatively little to attend school during the first two years; therefore, if they get accepted to a fairly expensive four-year school, even without a lot of financial aid, their total cost for four years is still much less than they would have paid if they had attended a four-year school from the outset. This does not translate, however, to indulgence. Many of the Honors students “have come to understand that they had to apply themselves to be successful in their courses.” For some of the most talented students, the Institute may be the first place that has required them to accept and, ultimately, to embrace this challenge. This process of creation requires a faculty that is committed to traveling from one campus to another when it is necessary to do so, and a staff that is ready to nurture and support students through advising and mentoring, especially, perhaps, when the time comes to apply to the four-year institution. Dr. Lyons has established informal but effective relationships with scores of colleges around the country. When a student wants to attend one of these schools, she is their advocate. Examples of her success with this sort of outreach are the presentations that Institute students receive from outside representatives, including those from Columbia and Mt. Holyoke. Dr. Lyons and her staff also provide counseling that helps students match their school choice with their majors, rather than just the “brand” of the four-year school. But just as important in preparing Institute students is the extensive honors curriculum. 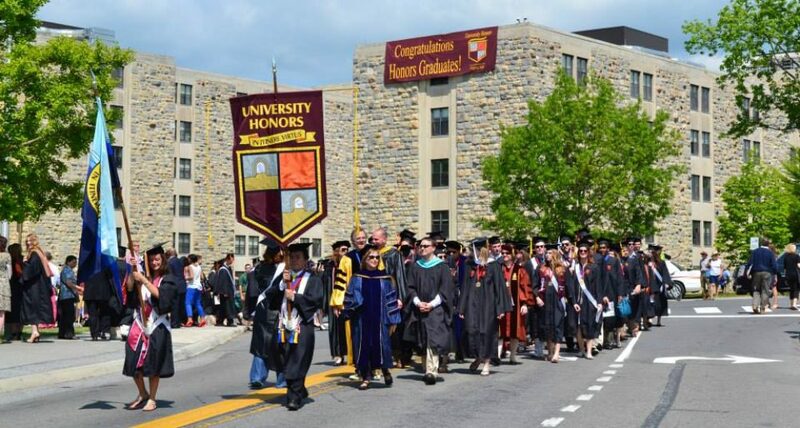 Completion of the honors curriculum requires 24 semester hours of honors credits–as many or more honors credits as are required by a lot of four-year honors colleges and programs. As for the honors community, students from all campuses meet at the Dale Mabry Campus in Tampa for student association and board meetings and also use frequent service projects and film study groups to form closer associations. “And we mean it,” says Dr. Lyons. This entry was posted in Best Value and Finances, Honors News, Types of Honors Programs, Uncategorized and tagged Community College Honors Programs, Hillsborough CC Honors Institute by Honorsadmin. Bookmark the permalink.